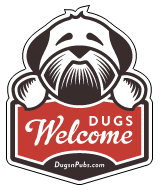 Dog Friendly Places in Edinburgh – Music, Record Shops & Audio Retailers. Dog friendly Loud & Clear are one of the UK’s top specialist audio retailers, hi-fi shops and home cinema installers. There are a total of 2 dog friendly listings in the Music category. Please log in, or sign up as a member to view all listings.